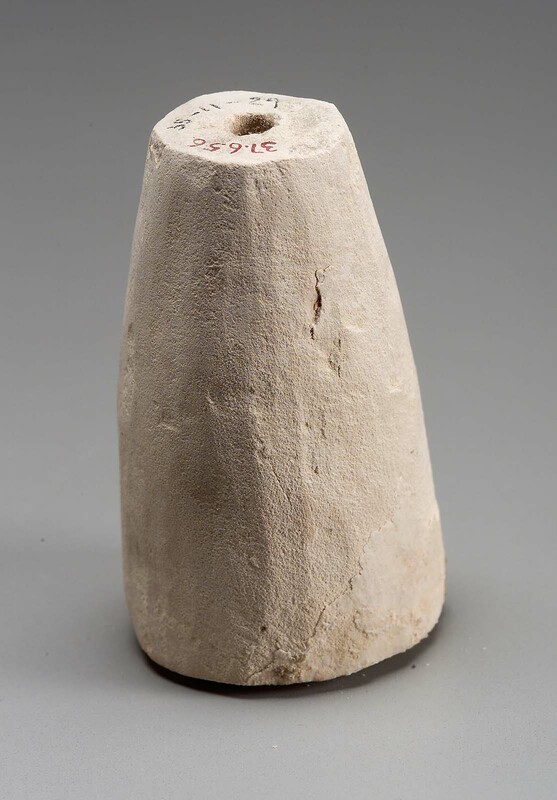 Limestone accessory to serving statuette; tall, jar-like object, a churn (? ); no color. Drilled anciently for fixing on base. From Giza, G 2347A E. 1935: Excavated by the Harvard University–Museum of Fine Arts Expedition; assigned to the MFA by the government of Egypt.